The Senior Suburban Orchestra (SSO) is looking for musicians to join their ranks! We currently have openings for flute, trumpet, French horn, trombone and double bass. 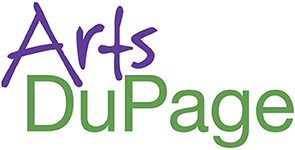 We rehearse on Tuesday afternoons at St. Paul’s United Church of Christ (5739 Dunham Road, Downers Grove) September through May. We perform for churches, social organizations, schools, and retirement communities and our concerts are during the daytime hours on weekdays. Among our present musicians we have a wide range of experience, with some having had a lifetime of performing opportunity, and some who are presently taking lessons to improve their skills. The SSO is a volunteer community orchestra, with fifty members, established in 2000. There is no fee to join or tickets to sell… the only requirement is that you love music and want to work to create beautiful music. More information about the Senior Suburban Orchestra and links to some of our performances is available on our website at https://seniorsuburbanorchestra.org. If you or someone you know would like to inquire about joining our orchestra, please contact our Personnel Manager, Lori Davis at (630)935-7103 or lsd542000@yahoo.com.